A few weeks ago a Boeing jet was maneuvering near an airport when it abruptly nosedived and plowed into the ground at tremendous speed, killing everyone aboard. This was not the Ethiopian Airlines crash on March 10 that has transfixed the world, however. 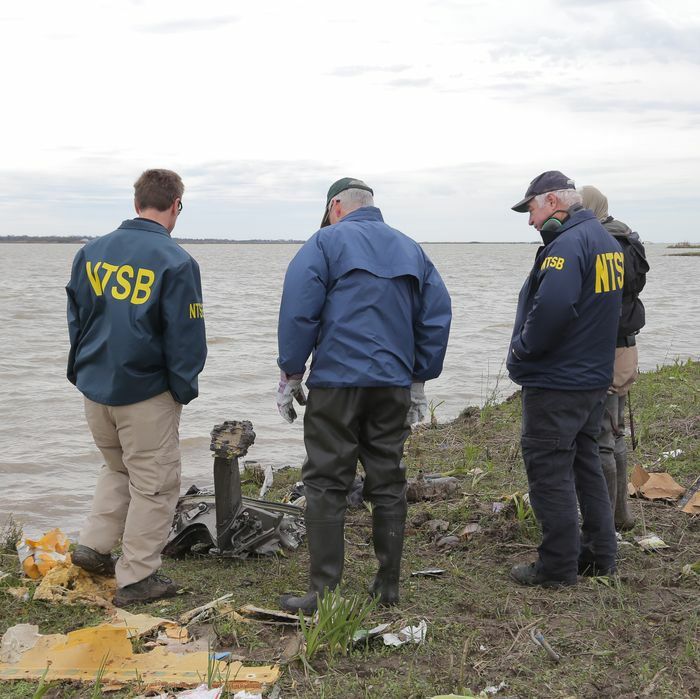 It was an American plane, a 767, and its destruction in a muddy bay near Houston remains even more mysterious and, consequently, potentially more disturbing in its long-term implications. Eighteen seconds after the trouble started, the plane smashed into the muddy waters of Trinity Bay, killing everyone aboard. A preliminary report by the National Transportation Safety Board on the incident caused a stir when it cited “control input” as the cause for the steep dive. Was this a case of pilot suicide, like the Germanwings pilot who programmed his Airbus A320 to fly into the side of a mountain in 2015? But it’s hard to imagine that, in the midst of trying to maneuver through and around bad weather, a pilot suddenly decided to commit suicide. A revised version of the NTSB report changed the language to “a nose-down elevator deflection,” which seemed to move responsibility away from the human pilots and raised the possibility that a malfunction, perhaps of the autopilot, could have been responsible. But there are no known autopilot modes that would behave like this. In online pilot discussion forums, a third idea has been gaining adherents: that the pilots succumbed to a phenomenon called somatogravic illusion, in which lateral acceleration due to engine thrust creates the sensation that one is tipping backward in one’s seat. The effect is particularly strong when a plane is lightly loaded, as it would be at the end of a long flight when the fuel tanks are mostly empty, and in conditions of poor visibility, as Atlas Air 3591 was as it worked its way through bands of bad weather. The idea is that perhaps one of the pilots accidentally or in response to wind shear set the engines to full power, and then believed that the plane had become dangerously nose-high and so pushed forward on the controls. This would cause a low-g sensation that might have been so disorienting that by the time the plane came barreling out of the bottom of the clouds there wasn’t enough time to pull out of the dive. It has been speculated that this might have been the cause of another bizarre and officially unsolved accident from three years ago: Flydubai Flight 981, which crashed 2016 in Rostov-on-Don, Russia. That plane had been returning Russian vacationers from Dubai when it encountered bad weather and was unable to land. After circling for an hour and a half, the pilots attempted to land, then aborted the attempt, came around again for another attempt, and then aborted again. After climbing sharply, the plane pitched forward into a steep dive and smashed into the edge of the runway, killing all 62 people aboard. The crash of two 737 Max airplanes — Ethiopian Airlines Flight 302 and Lion Air Flight 610 — in quick succession is horrific, but in a way, this kind of disaster shows how the system is supposed to work: a mishap occurs, officials determine what happened, and then the problem is fixed so that future air travel will be safer. While it’s still too early to draw any kind of conclusions about Atlas Air 3591, the possibility exists that a firm conclusion will never be drawn — and if it is, the cause could turn out not to be a design flaw or software malfunction that can be rectified, but a basic shortcoming in human perception and psychology that cannot be fixed as long as humans are entrusted with the control of airplanes.